NewSchools Venture Fund reimagines learning, values innovation and is funding student learning and success, one big dream at a time. In a world where education is often one size fits all, NewSchools.org is seeking out those with bold new ideas to ensure students have a more personalized education that allows them to succeed and thrive in every environment. Funding opportunities are now open for two investment areas: Innovative Schools and Diverse Leaders. 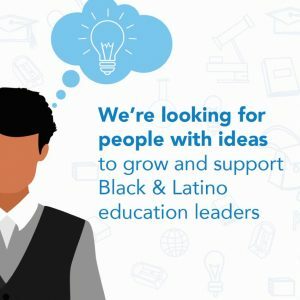 For teams of educators and entrepreneurs who are either dreaming of opening a new innovative school or interested in growing, advancing and supporting Black and Latino leadership in education, this opportunity could provide the funding to launch a new venture. Up to $8 million in total funding is now available. NewSchools supports innovators who are tackling the challenge of making sure every young person in America finishes high school prepared and inspired to create and live the life they want – a good life, full of opportunity, choices, connection and meaning. To reach this aspiration, students need a strong academic foundation and other important mindsets, habits and skills. NewSchools supports diverse teams of educators and entrepreneurs who are reimagining education so more students have learning opportunities designed for this purpose. “This is a great opportunity for innovators with the vision and skills to reimagine learning. In addition to funding support, NewSchools provides management assistance to help entrepreneurs take their ideas from concepts to reality,” said Frances Messano, Senior Managing Partner, NewSchools Venture Fund. Innovative Schools – NewSchools Venture Fund invests in innovative schools all over the country, within districts and charter networks, that embrace an expanded definition of student success, which we define as strong academics combined with important mindsets, habits and skills. These innovative schools are using new approaches to ensure students’ learning experiences are more personalized – tailored to their individual needs, skill levels and interests. Our investments in the Innovative Schools strategy include new schools through our Invent program and redesigned schools. However, this particular funding opportunity will focus only on new schools planning to launch in Fall 2020. Using a rigorous due diligence process, we will select the most promising teams of educators and support them through the critical planning and early implementation phases. Funding of $200,000 includes participation in a cohort experience to help teams refine their designs and prepare for launch in one year. 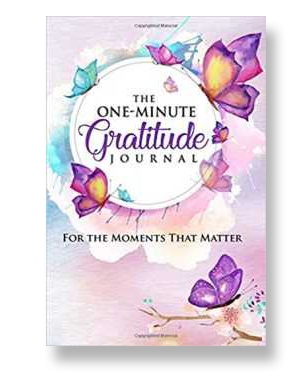 Submissions are due Nov. 26, 2018, and ventures will be selected in March 2019. Today’s young people are the most diverse generation in our nation’s history. In fact, 40 percent of PreK-12 students are Black or Latino and more than half identify as a person of color. If we are going to reimagine learning so it works better for every student, we need the best ideas from everyone. Our aim is to see Black and Latino leaders represent at least 40 percent of PreK-12 education leadership, mirroring the racial and ethnic representation of U.S. students. This funding opportunity is open to entrepreneurs with ambitious ideas focused on growing, advancing and supporting Black and Latino leadership in education. Funding from NewSchools Venture Fund is in the range of $100,000-$200,000, and submissions are due by Sept. 7, 2018. Ventures will be selected in December 2018. NewSchools Venture Fund is a nonprofit venture philanthropy that invests in promising teams of educators and entrepreneurs with the vision and skills to reimagine learning. We help them accomplish their missions to achieve outstanding results for the students, educators and schools they serve. We are committed to helping students finish high school prepared and inspired to achieve their most ambitious dreams and plans. Through our investing, management assistance, network building and thought leadership, NewSchools Venture Fund helps to reimagine PreK-12 education.